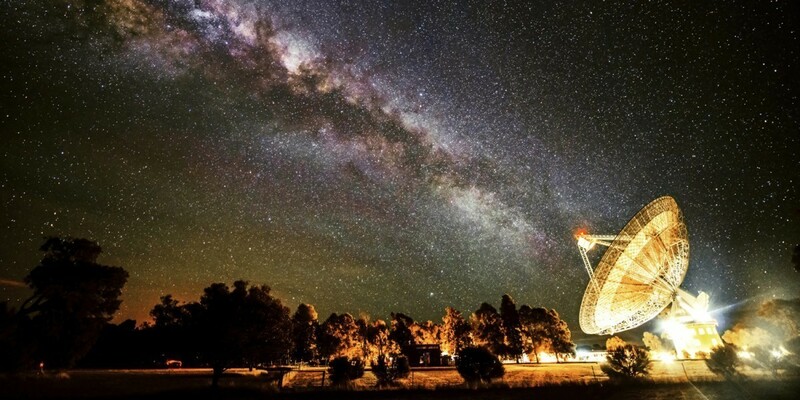 There’s something strange about fast radio bursts, but they are not a message from aliens. A fast radio burst (FRB) is a short, intense pulses of radio energy that have all the hallmarks of being astronomical in origin. Initially they were only detected at the Parkes radio telescope in Australia, which would make some kind of terrestrial origin likely. Later an FRB was detected at the Arecibo observatory in Puerto Rico, which made in more likely to originate from space. 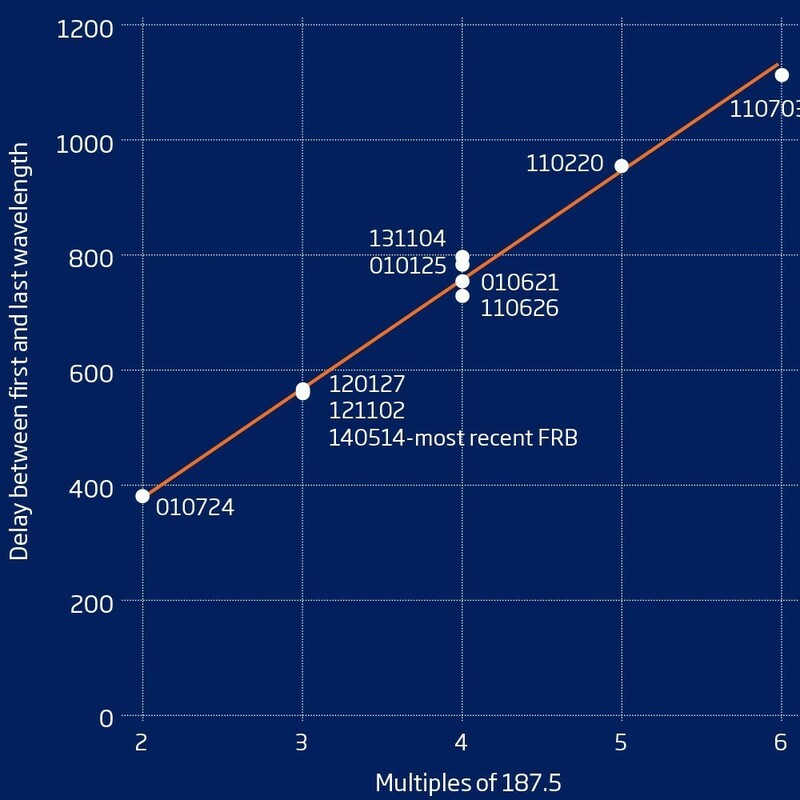 Earlier this year an FRB was detected in real time by multiple telescopes across the globe, which pretty much confirmed the origin as beyond Earth. One of the hallmarks of their astronomical origin their spectrum is dispersed. That is, instead of being a simple burst with all different frequencies happening at once, the frequencies were spread out, with higher frequencies first and lower ones later. This whistler effect is characteristic of a pulse that has traveled through the interstellar medium. It occurs because when an electromagnetic pulse interacts with charged ions, different frequencies are slowed by different amounts, with the lower frequencies slowed down more. So you get a dispersion effect. Stray bursts or chirps from terrestrial sources generally don’t have the same dispersion because they don’t travel through plasma and they don’t travel far. The time between the arrival of the high and low frequencies can be used to calculate the dispersion measure. Since the greater the dispersion measure, the more gas and dust the signal has travelled through, it is a good way to estimate the distance of the source. This is where FRBs start to get really weird. It turns out the dispersion measure of these fast radio bursts seem to occur in multiples of 187.5 pc/cm3. Since the dispersion measures put the distances to these FRBs as billions of light years away, that would imply that their distances are evenly spaced across the universe, which isn’t likely for a natural phenomenon. A more likely solution is that they are much closer and originate within the Milky Way. The dispersion we observe would then be due to some unknown process rather than interstellar medium. This new process would need to have some mechanism to account for the discrete dispersions. That by itself would be extremely interesting, since it would demonstrate that dispersion can occur at the source as well as through interstellar interactions. There is another aspect of these FRBs that’s interesting, and would imply an even closer origin. It turns out that their timing is very suspicious. They always occur within a tenth of a second of an official integer second in UTC (coordinated universal time). That’s really suspicious for something supposedly interstellar in origin, and would point toward something like stray signals from mobile phone towers and the like. Were I a betting man, I’d place my money on the terrestrial horse. It should be emphasized that while this is interesting, it is an analysis of only 11 data points. We’ve only detected a handful of FRBs, and until we detect many more any speculation on patterns and origins should be made cautiously. Unfortunately most of the headlines want to spin the idea that since they appear both cosmic in origin and discretely spaced FRBs could be caused by some extraterrestrial intelligence. But going directly from “we don’t know” to “therefore aliens” is the realm of science fiction and hack journalism, not science. Pretty sure I understand the idea of dispersion measure, but I don’t understand the units pc/cm3. What is the pc part of that? It’s parsecs, which is a unit of distance. It might seem like a strange set of units, but it’s how things are done in astronomy. I work in fibre optics and there are systems that add negative dispersion to the optical signal to correct for the dispersion that occurs in the glass of the fibre. The negative dispersion can be added at the transmitter, receiver or various points along the route for a long system. The scale is very different, the wavelength is 1550nm and the dispersion is measured in Peco seconds per Nanometer of wavelength. 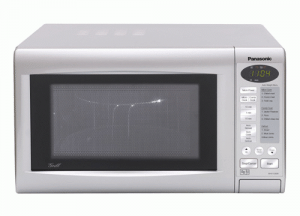 The reason to mention this is that although I have never worked in microwave communication I am aware fibre optics and microwave use similar tricks to get the signal through as they have the same basic physics. I don’t bet but if I did, I would bet there is some smart microwave engineer somewhere playing with transmitter dispersion to improve data rates, transmit distance, encoding methods or something. Engineers don’t always publish to avoid giving their work to a competitor. Note: In most modern high data rate fibre optic systems no negative dispersion is added and the correction is done in powerful ASIC chips in the receiver. The graph isn’t quite as spectacularly quantised as it looks – the dispersion measures have been rounded to the nearest integer (-5.3% to +3.6% “corrections”), according to the paper. It’s certainly interesting if it’s a real phenomena, but there’s too much data manipulation going on with too small a sample size – and as you say, the synchronisation with a completely arbitrary human construct (UTC) is an enormous problem. If I was going to write this into a SF story I’d have secret nuclear tests on the far side of the moon being carried out by Space Nazis as a more realistic option than ET. I agree the data is interesting, but not particularly compelling. It certainly doesn’t merit speculating about some “alien” message. What about the issue regarding the circular polarization of that signal[however small]. I understand this polarization is quite rare to be naturally occurring signal[astronomically speaking]. From what I read, the galaxy medium tends to permit only linear polarized signals. Actually, circular polarization isn’t that unusual. I found a description of a 187.5 Mhz clock oscillator on the web– seems to be a common device. I wonder if that’s a coincidence? I thought the DM was calculated as a linear function of the delay. If so, why aren’t the points on the graph exactly on a straight line? Could that be due to the rounding of the DM alluded to above? In the graph the authors cluster the points by integers of 187.5, hence the deviations from an exact straight line. Thanks for the blog post. I read the paper, and one of the referenced papers on the first FRB, and while I accept your argument that this is most likely not the result of an ETI (terrestrial EM interference has my money), I’m just curious about if it was, what could it actually be? If I understand the physics properly (which I’m pretty sure I don’t – undergraduate physics only gets you so far! ), then it would be something quite odd. Doesn’t the DM indicate distance, and so the size of the smallest FRB DM (187.5 x 2) indicates it is from another galaxy? But the other DMs are multiples of 187.5, so then aren’t they from huge distances away from each other – inter-galactic distances? So what kind of thing would they represent – a set of chirp beacons spread out over several galaxies that go off every few years. What you be the point of that? Correct me if I’m wrong. I agree with your article and your closing paragraph with one exception. Finding a signal that was determined to from an alien intelligence would not be “science fiction” because it would fit with our current best theories of the universe. It is odd that we have not found any signals from aliens. The sky is strangely quiet. The cause of that silence means one of two things: Our basic assumptions and theories of the universe are wrong or there is a reason that could only be described as “science fiction”. The sky is not ‘strangely quiet.’ That extraordinary claim is simply a Fast Emotional Burst (FEB) stemming from our frustrated disgust after searching an infinitesimally small sample of EM Spectrum, lines of sight, technology assumptions, window of technological applicability, civilization progression and time. We did not win the $750 million Lotto on the first try with one ticket so we gave up in disgust, rationalizing that the money does not indeed actually exist. Such reality is reiterated recently in interviews by Frank Drake himself concerning SETI. Mark you are correct that, given our current best models of the universe, we should develop constructs along the need to consider (parsimoniously of course) a life-among-the-stars alternative. It is not irrational at all. The key is not, as this blog has done, to proclaim loudly that one already has the answer, and that it is a resounding NO!!! Where did we gain the enormous amounts of data to make this conclusion to the scientific method? Rather we should ask, ‘What do I need to do in order to develop this, and the other more likely alternatives into actual hypotheses?’ and ‘What is the next critical path question to be asked under the Scientific Method?’ Until we are able to do that, loud proclamations are simply counter-rhetoric. But I do agree, we possess nowhere near a confidence interval establishing level of data on any of the supposed measures. We have to wait. I hear less about the alien postulate from the whacked fringe than I do of it from the so-called skeptic community, who appear to be enormously fixated on decrying the option within hours of each FRB intercept. In my experience in science, people who practice this type of thought control (albeit in more conventional hypothesis reductions) do not last long in their jobs. It is never science to simply presume, declare and walk away – no matter how ludicrous the alternative set under consideration might have been 100 years ago, or in a religious dark age.